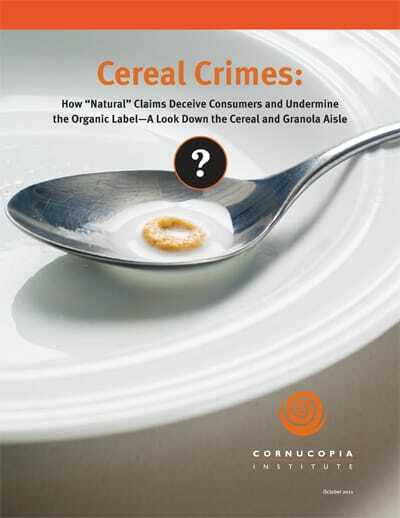 “Natural” claims in the cereal and granola aisle mislead consumers. A new study from The Cornucopia Institute indicates the “natural” claim is mostly meaningless marketing hype, in contrast to the USDA certified organic label which signifies the food was produced without genetically modified organisms (GMOs), toxic pesticides and other potentially dangerous synthetic inputs. 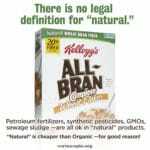 Cornucopia and USDA research finds GMOs, and toxic pesticide residues, in “natural” cereal ingredients… and many “natural” brands are often priced higher than equivalent organic products.